See past the pasta and enjoy all that Italy has to offer. Piadina is a bread that hails from the Emilia-Romagna region of Italy. The flatbread is somewhere in between the texture of a tortilla and a pita bread and all around delicious. It’s a fantastic choice for sandwiches, a fact which many fast casual Italian restaurants around the world are catching onto. 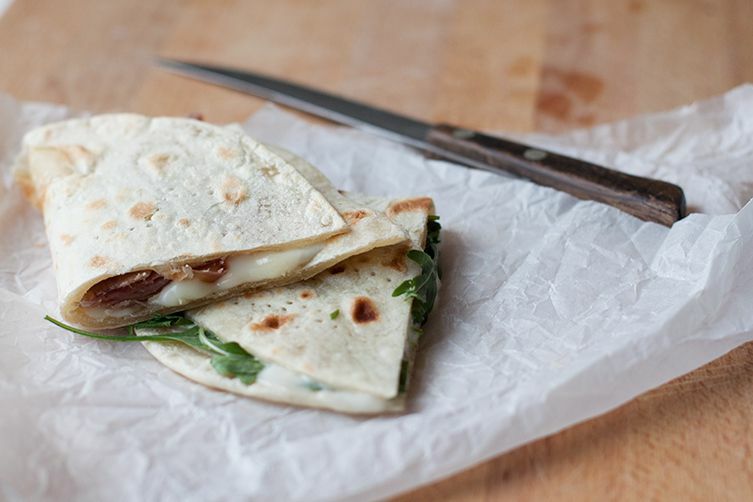 For a sweeter variant, piadina’s neutral flavour also lends itself well to being smothered in Nutella or jam. Ready to make some piadina of your own? Check out this recipe from Food52. 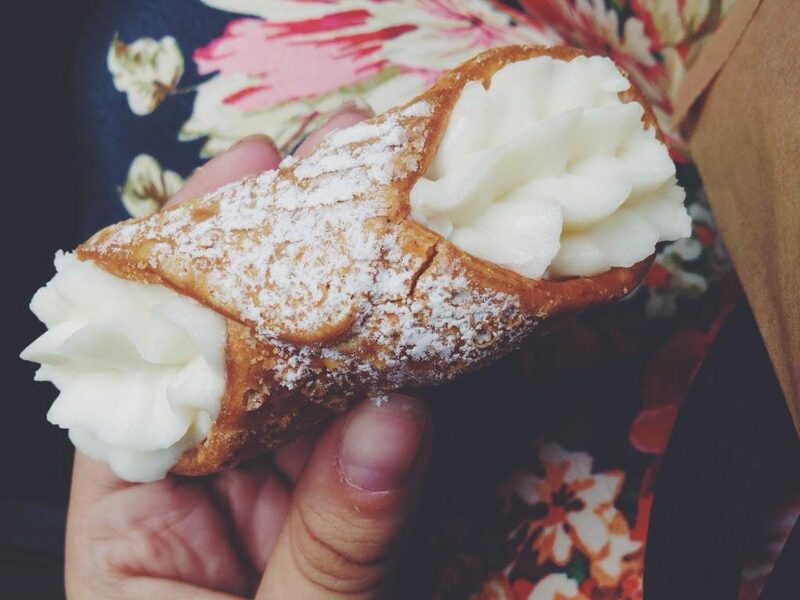 There’s nothing in this world quite like a fresh cannoli. If you ever lose me at an Italian event, there’s a 99.99% likelihood I’m hanging around the cannolis. While this Sicilian favorite originally featured sheep’s milk ricotta and candied fruits, most cannoli outside of Italy is made with cow’s milk ricotta and have a wider variety of extras like chocolate chips. Either way, the combination of the crispy, fried shell and the melt in your mouth creamy cheese filling will sweep you off your feet. Check out this easy recipe for cannoli filling with store bought shells. If you’re up to the challenge of making your own shells and filling from scratch, try this one. 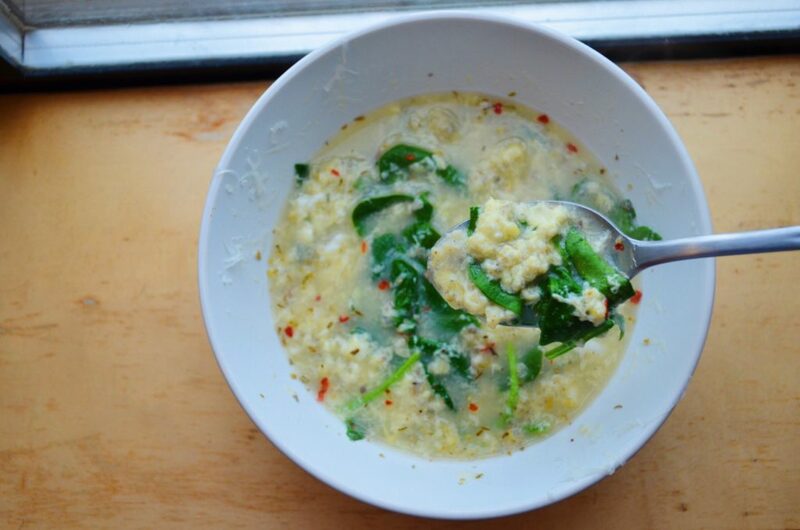 If Chinese egg drop soup had an Italian cousin, it would be stracciatella. Typical of the Lazio region of Central Italy, stracciatella soup begins with a rich, meaty broth that gets drizzled with a mixture of beaten egg, Parmesan cheese, lemon zest and nutmeg. The mixture transforms into stracciatella or “little shreds” that are soft and silky. American variants of the soup also add extra items such as spinach for flavor. The soup is perfect on a cold winter day (or Easter lunch if you’re Italian!). While it takes some practice to get the shreds of egg just right, this recipe provides great instructions that will have you going back for your second bowl in no time. #SpoonTip: If soup isn’t your thing, try stracciatella gelato/ice cream! A vanilla base gets ribbons of melted chocolate mixed into it during the churning process, leaving shreds of chocolate that melt in your mouth. 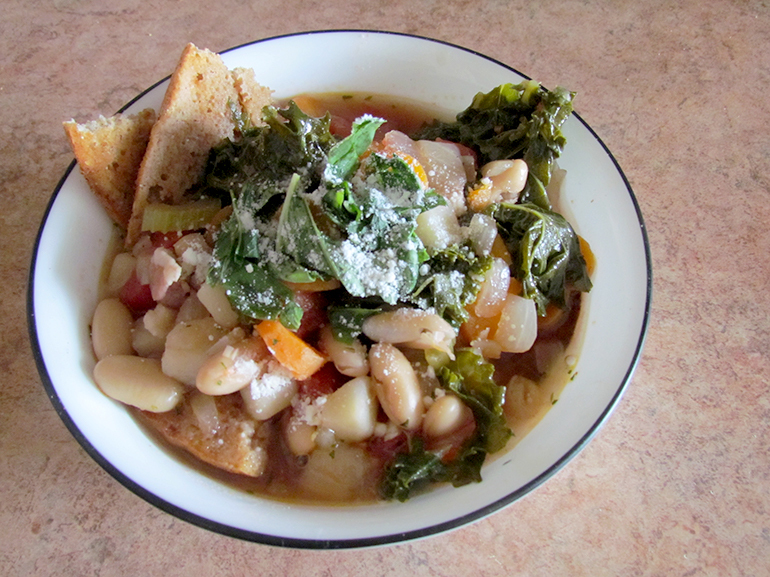 Ribollita is a Tuscan soup/stew that combines a variety of bread and vegetables with beans to create a hearty, warming meal that won’t break the bank. While traditional ribollita includes vegetables like kale, savoy cabbage and chard, feel free to experiment with herbs and other vegetables to put your own twist on this Italian classic. Try out this recipe here. #SpoonTip: Be sure to use crusty, rustic style bread that is a little stale to ensure you get the proper texture for the soup. Two words: Fried risotto. These little Sicilian nuggets of joy take the classic Northern Italian risotto (rice cooked in stock until creamy) to the next level by stuffing it with fillings (such as cheese, sauce and vegetables) and then coating in bread crumbs to deep fry to crispy, golden deliciousness. The result is a satisfyingly crunchy exterior with a soft, velvety interior. 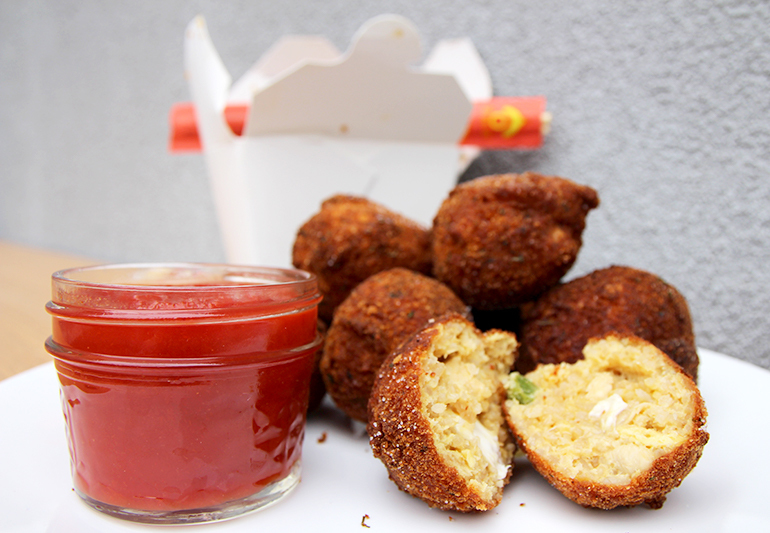 Bonus points if you serve them with red sauce on top. If leftover risotto seems a little bougie for a dorm room, check out this version that utilizes leftover Chinese fried rice. Arrosticini is one of those dishes that is simple yet incredibly flavorful. 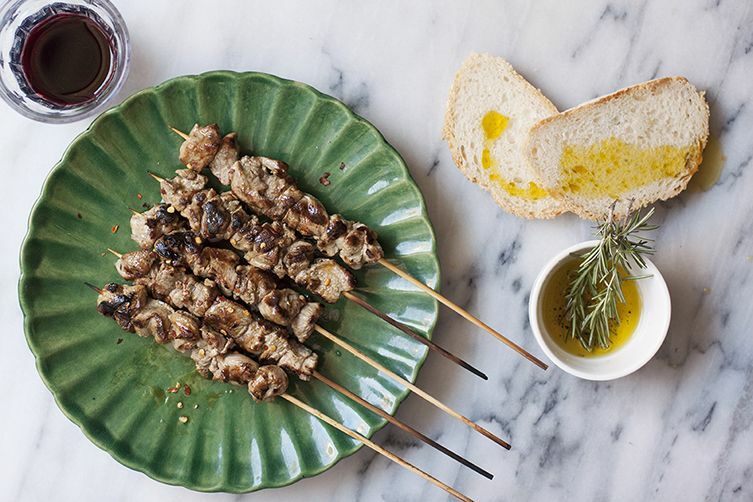 A staple of the Abruzzo region of Italy, these tasty lamb skewers only have three or four ingredients. One of the most important elements of traditional Arrosticini is cooking them over hot coals to ensure the meat gets a wonderful flavor. However, a grill or BBQ will still give you a great result. Be sure to serve them with some Italian bread, olive oil and other antipasto goodies like prosciutto to get the full experience of Abruzzo (Oh, and a glass of red wine wouldn’t hurt). Recipe here. It’s no mystery as to why this dessert’s name translates to “pick me up“. 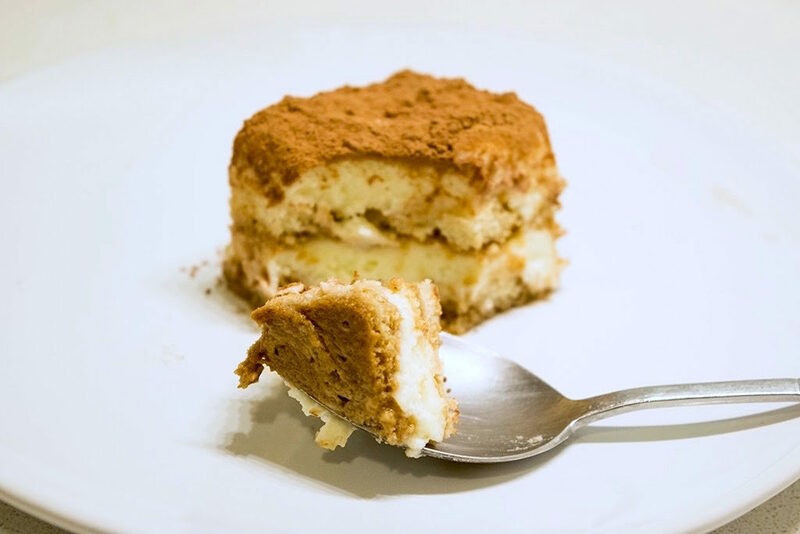 Tiramisú combines layers of coffee and rum soaked ladyfingers, a fluffy mascarpone cheese filling (similar to cream cheese, but much lighter and creamier) and topped off with a generous dusting of cocoa powder. The Venetian specialty is extremely popular at weddings because of its creamy texture and delightful flavors. It’s also a great dessert to make during the summer when the last thing you want to do is a turn on the oven (if you choose to buy your ladyfinger biscuits). #SpoonTip: Authentic tiramisú soaks the ladyfingers in both coffee and rum and uses raw eggs in the mascarpone layer. If you’re weary about raw eggs, a non-traditional but equally delicious spin would be to exclude them or prepare them as a custard to layer between the biscuits and the mascarpone. Garlic lovers, rejoice! Bagna càuda is the perfect dip for you. This simple dip from the Piedmont region combines garlic, anchovies, olive oil, butter and spices that packs a punch. While the dip itself is fairly versatile, it is most commonly served with bread and raw vegetables (kind of like an Italian fondue). 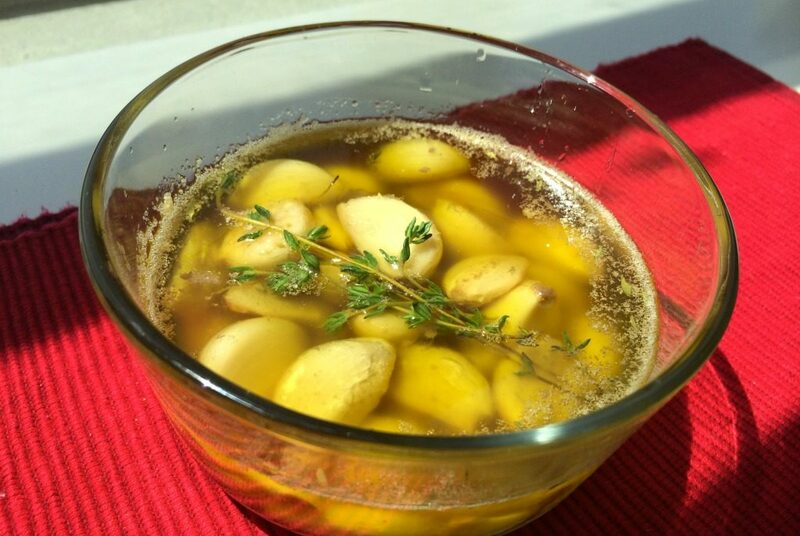 However, it’s also great to use as a sauce or dressing for vegetables, salads or meats. #SpoonTip: If you like your dips on the creamier side, some regions of Piedmont incorporate cream into their version of bagna càuda. 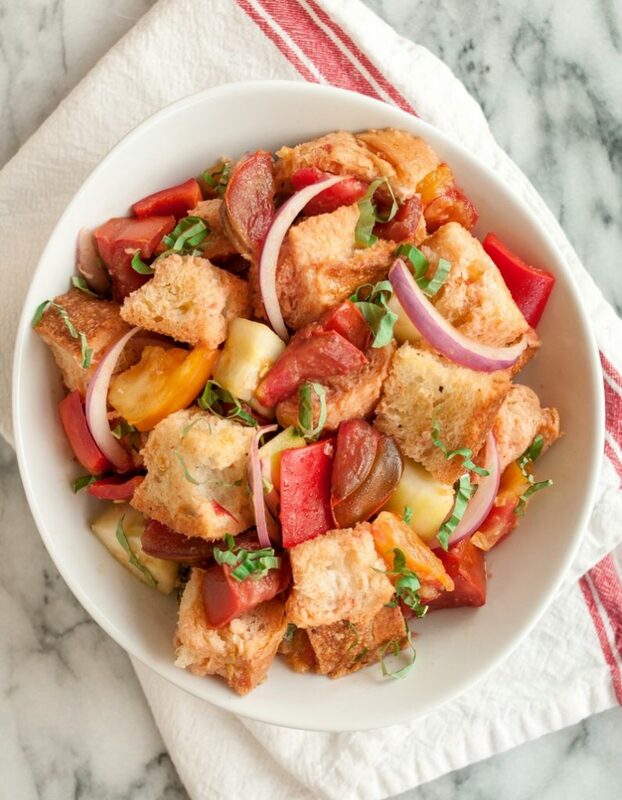 If you’re getting bored of your usual salad or need to use up some stale bread, try Panzanella salad. While the traditional salad usually uses soaked bread and tomatoes with simple olive oil dressing, it’s very easy to add your favorite ingredients and dressing to create your own version of this summer favorite. If you’re not up to venturing too far away from pasta, look no further. Similar to gnocchi, gnudi is served like pasta but are technically dumplings. 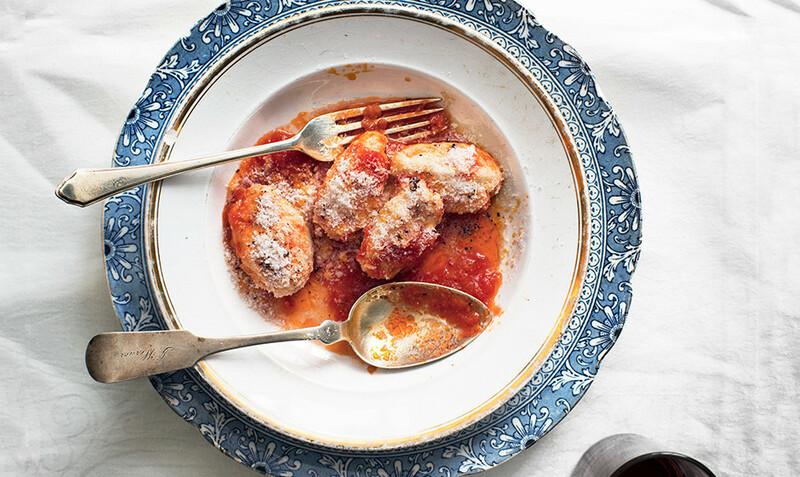 Instead of using potato as a base like gnocchi, gnudi uses ricotta cheese and a bit of flour to create the perfect accompaniment to a big dollop of red sauce. Check out this recipe from Bon Appetit here. 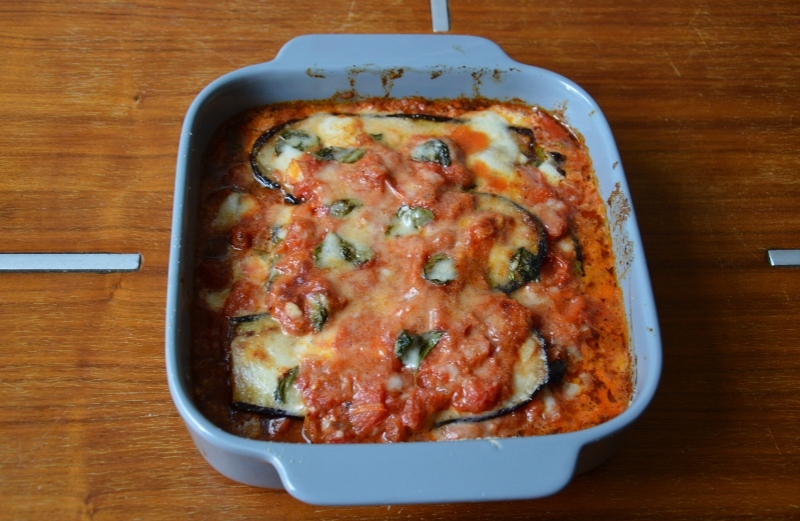 Parmigiana di melanzane or eggplant parmesan is a classic Italian dish that everyone should try at least once. Even if you’re not a big fan of eggplant, the wonderful sauce and melty cheese might just convert you. It’s great for potlucks and dinner parties as it provides a great option for your vegetarian friends. To ensure the best eggplant parmesan possible, be sure to salt your eggplant, let it stand for a few minutes and rinse it off to draw out some of the moisture.